Visitors in James Bond Museum Sweden . 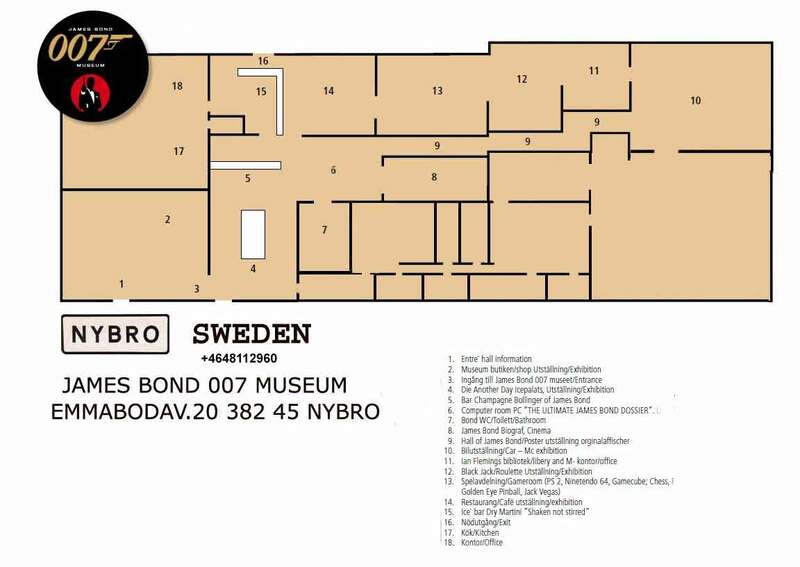 The 007 museum over 900 sq.m. 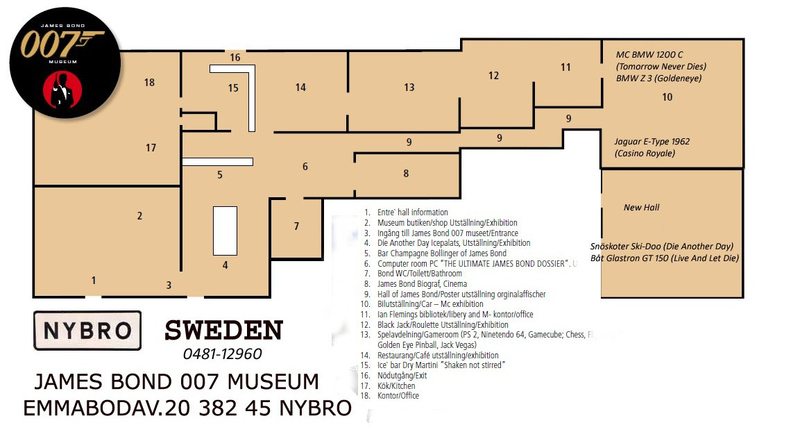 Hyr hela James Bond museet Företag ,Bondfester Event Open Daily 10 -17 (closed13-14) Sat 10.00-14.00 Sunday closed 46 years, 21 films,billions of fans! YOU'RE HOLDING THE MOST AMAZING BOND GADGET OF ALL! Bond. James Bond. The name says it all:explosive action, stunning women, incredible missions, unforgettable villians and out-of-this-world cars and gadgets. 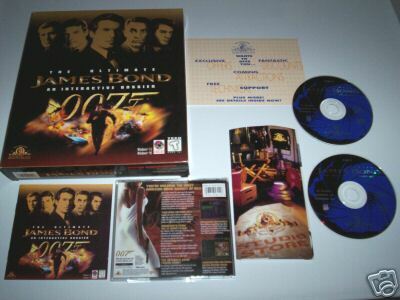 Now you can experienxe the lethal yet seductive world of 007 on two CD-ROM discs utilizing premier video, breathtaking CD-quality sound, lush graphics and the most amazing collection of Bond lore ever assembled! Two Disc CD-ROM SET! Packed with over 55 minutes of fullmotion video clips, over 22 minutes of audio clips, over 1,800 still photographs and over 850 detailed articles on different aspects of 007's world. HIGHLIGHTS FROM FIRST 17 BOND FILMS! SPECIAL MISSION GUIDANCE BY "Q!" Let Desmond Llewelyn, the original "Q," be your guide as you travel through this CD-ROM, the greatest Bond gadget ever created. Seven different aspect doorways allow seamless access to all of Bond's adventures, while a powerful search engine immediately connects you to the full data base of the James Bond universe. FASCINATING MATERIAL NEVER BEFORE SEEN! Delve deeper into the passion, suspense and dange with rare, behind-the-scenes materials. THE ULTIMATE BOND TRIVIA GAME! An exciting 4-level trivia game lets you test your secret agent skills with over 400 questions requiring you to identify voices, photographs, audio clips and more! Women, Allies, Villains, Q-Branch, Vehicles - following another custom video clip, you can access the database according to film, type of person or alphabetically. This is the same information from the database on both discs, accessible from the Missions screen, but sorted into easy sections. 007 Profile : information on his mannerisms, favourite drinks, games and his famous greeting from each of the Bond actors. 007 AKA : detailed biographies on the actors who have play Bond, with information before and after their roles, and press photos. 007 By Design : Biographies and points of interest on the people that brought Bond to the screen, including Ian Fleming and Albert R. Broccoli. 007 Chronicles : a year by year history of Bond, with other historic events and facts. HMSS Trivia Challenge - A multiple-choice quiz, which gives you questions, sound clips and video clips. You start with seven lives, and the quicker you answer the question, the more points you score. You advance through the levels as the questions get harder, and there's a high score table as well. Although there are over 400 questions, you do get a bit of a repetition after a few attempts. Saying that, the questions do get more difficult, and even with the help of a few avid James Bond fans, I could not get beyond the first few questions of level three. Q Help - a simple help guide hosted with clips of Desmond Llewelyn, the actor who plays Q. There's a sense of humour in the help, as Q is very busy, and you will get a blank screen if you access this feature too many times. 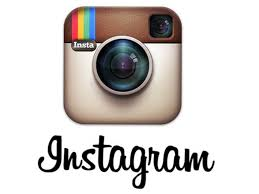 Web Link - using your Internet link you can jump to the official web site to get more information. There is an incredible amount of information on the two discs, with 55 minutes of video, 22 minutes of audio, 1800 photographs showing, amongst other things, the original storyboards, and 850 detailed articles. Navigation is easy, with hyperlinks joining each section, and there's a powerful search function as well. The quality of the video clips are excellent, as the program was produced by Eidos and MGM Interactive (who own the rights to the films), although some of the sound clips vary in quality from 8-bit to 16-bit. The program console is made of several bitmap overlays, which means it only runs at 640 x 480 pixels. You can run in a higher resolution with a black border around the screen, but it's better if you decrease the screen size for this program, to get the full impact of the video clips. There are hundreds of pictures in the BMP and JPG format on the discs, and the animated sequences are made of AVI or FLC files. They all come together to form one of the best multimedia programs I have seen. The music in the background changes according to the film, and there are several different pieces used. 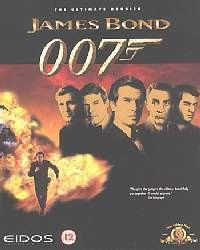 Some of the pictures are small, and the program will be out of date when the eighteenth Bond movie Tomorrow Never Dies, is released later in the year. There is no update feature like Microsoft's Cinemania program, but they could always release a third disc with an updated interface. Ge dig in i den andlösa spänningen i det mest kompletta Bond-äventyret någonsin. 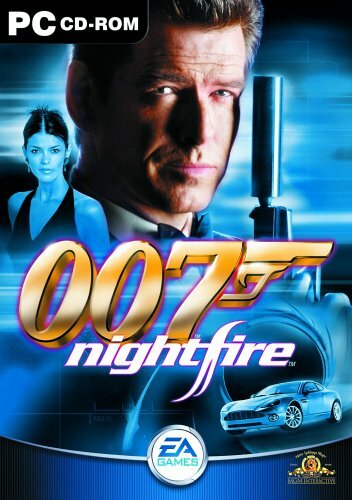 I James Bond 007 NightFire finns det massor av nya scenarion och spelmöjligheter byggt på en story specialskriven för spelet. Uppdragen är väldigt varierande och innehåller allt från hårdpumpande action till uppdrag där bra smygteknik och strategi är det viktigaste. Som vanligt innehåller även spelet en rad tekniska manicker, vackra kvinnor och allt annat som en äkta Bond-fan kan tänkas vilja ha. Vår hemliga agent är tillbaka i hans farligaste uppdrag hittills. Level designs challenge players to determine when to blast their way through using high tech weaponry, keenly employ spy-craft tricks and upgradeable gadgets, orstealthily maneuver their way as they accomplish mission objectives and strive for the maximum agent ratings. Systemkrav : Win 98/ME/2000/XP. Pentium III 500MHz. 128MB RAM. 3D Grafikkort med 32MB RAM. 675MB HD. 8X CD-Rom. Multiplayer: Upp till 32 spelar över Nätverk (LAN) eller Internet med 56K Modem. 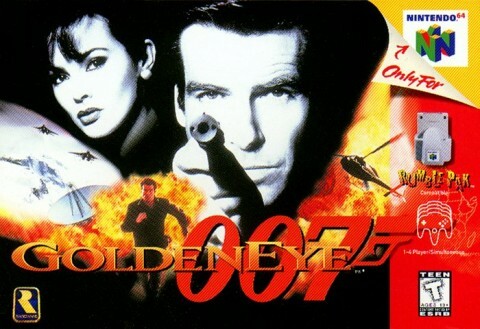 GoldenEye 007 är ett klassiskt FPS-spel till Nintendo 64 utvecklat av Rare. Storyn i Goldeneye 007 är baserad på Bond-filmen med samma namn. Spelet blev en enorm hit, till stor del på grund av den för sin tid mycket snygga grafiken och ett mycket genomarbetat multiplayer-läge med stöd för upp till 4 spelare. Singleplayer-delen kan spelas igenom på tre olika svårighetsgrader; varje steg uppåt i svårighet innebär fler deluppdrag att klara, smartare AI och mindre ammo i fallna motståndares vapen. Klarar man vissa uppdrag på en viss tid och/eller svårighetsgrad får man tillgång till olika fusk, exempelvis odödlighet eller tillgång till dubbla rocket launchers på alla nivåer. 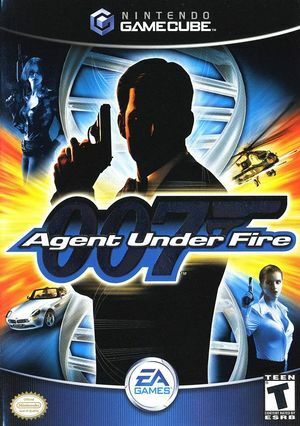 Klarar man alla nivåer på Secret Agent (Medium) och 007 Agent (Hard) får man tillgång till två bonusninvåer, en för Secret och en för 007 Agent. Rare ville senare göra en uppföljare men hade förlorat Bond-licensen, så man var tvungna att hitta en ny karaktär. Resultatet blev den sexiga agenten Joanna Dark i det futuristiska Perfect Dark. 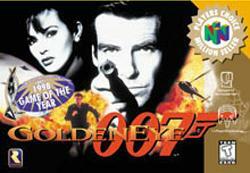 GoldenEye 007 has been a huge success for Rareware, and it's easy to see why. More than a simple movie translation, this has earned its top-seller status on its own. Fans of Doom and Quake will recognize the first-person shooter perspective, but there the similarity ends. James Bond 007 has too much style to simply blast everything in sight and move to the next level. 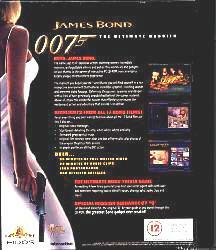 No, as 007, the player has a variety of different missions to perform, each with its own specific objectives. Each mission follows the film closely, and so James must use stealth and cunning as much as brute force. But if you see a Kalashnikov rifle lying around, by all means pick it up. Controls are easy to master, which is impressive considering the variety of actions the onscreen hero can perform. James can run and walk at variable speeds, duck, pivot, hide, attach mines to enemy helicopters, block doors from opening, and more. The optional auto-aim feature is especially nice. Of course, James Bond is proficient in a wide variety of weapons. You get to use them all, from the trusty Walther PPK (with silencer) to double sets of full-auto machine guns. The game's faithful tribute to the Bond legacy includes briefing dossiers on each mission, complete with wisecracks from Q and flirtatious comments from Moneypenny and the 3-D representation of locations and characters from the movie is very impressive. The Rareware team spent time on the set with digital cameras, and it shows. One of the distinguishing features of the game is the outstanding artificial intelligence of the enemies. When attacked, squads will rush to hit the alarm. If they make it, reinforcements come running. Enemy soldiers respond to being shot or blown up with chilling realism. According to Rareware, there are over 30 different animation routines that come into play, depending on where the soldier is hit. For those who prefer the challenge of human opponents, there are six clever multiplayer modes where up to four players can shoot it out, as teams or solo agents. With excellent gameplay, intelligence, and style, GoldenEye 007 is a first-person shooter that'll keep you coming back for more. 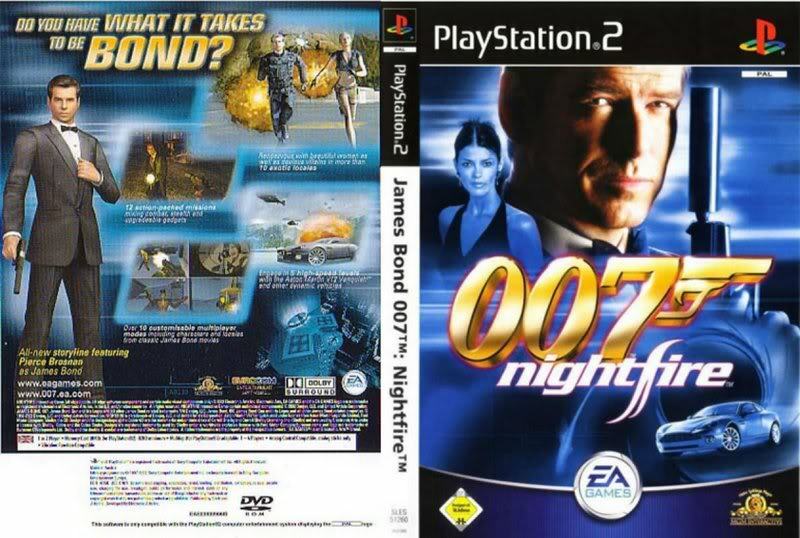 Spelet har en helt ny singleplayerstory skriven exklusivt för PlayStation 2 innehållande allt man kan vänta sig av ett Bond-äventyr. Spelet är fyllt av onda skurkar, explosiv action, biljakter och massor av olika spionmanicker för James Bond att leka med. I äventyret ställs man mot superskurken Malprave och hans armé av elaka terrorister. Deras onda plan är att genom sin nya genteknik skapa en arme av klonade soldater som kan ta över världen. Du är James Bond och du måste göra det som behövs för att stoppa Malpraves onda planer. Agent Under Fire ger dig möjligheten att spränga och skjuta dig fram med hjälp av den enorma vapenarsenalen eller smyga och gömma dig med hjälp av de olika spionmanickerna du har till ditt förfogande. Det kommer att behövas både kraft och list för att lösa de olika uppdragen. Det finns även nivåer som kräver våghalsig bilkörning i exotiska bilar som du känner igen från filmerna. 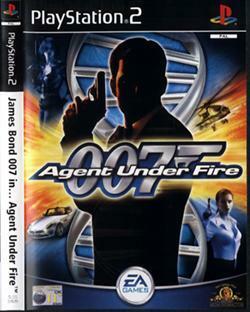 Agent Under Fire tar största möjliga nytta av den nya teknologin i PlayStation 2 och levererar en otroligt detaljerad 3D-värld med uppdrag på allt ifrån stora oljeriggar till undervattensbaser. Uppdraget är kristallklart, besegra Malprave, rädda världen... och få flickan.  Spelet är för 1-4 spelare. Svensk, engelsk och finsk text och manual.